The Celtics beat the Cavaliers in Game 1 of the Eastern Conference Finals 108-83. Jaylen Brown led the lopsided victory with 23 points as Boston held LeBron James to just 15 points. 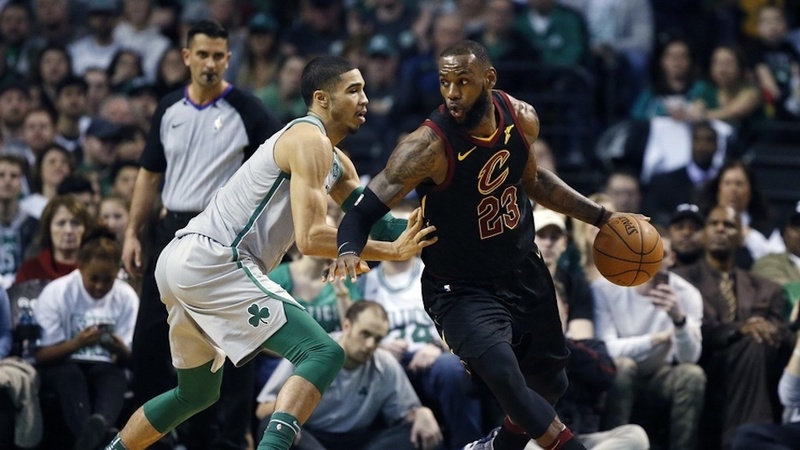 Boston overcame 42 points from James in order to win Game 2 of the series. Brown led the Celtics with 23 points in the 107-94 victory. Rookie Jabari Bird can no longer play in games for the Celtics due to his two-way contract—but he is still contributing to the team. His contract only allows him to compete in NBA games for 45 days during the season, but with a limited number of active players, Bird is practicing with the team. The Celtics are scheduled to interview draft prospect Michael Porter Jr. on Friday. Porter was once considered to be the top prospect in this draft, but his stock has fallen after he suffered a back injury that sidelined him most of last season.